It was just one year ago that Brian Baker revived his stagnant tennis career during the 2011 PNC Men’s Futures of Pittsburgh, ripping through the entire tournament without losing a set. Now, as the Nashville native enters the fourth round of Wimbledon, the next wave of men’s tennis players are attempting to follow suit. The 12th annual event from the Mount Lebanon Tennis Center is underway, and things are about to become even more interesting throughout the week. A qualifier that began on Saturday and included 64 participants will give way to a 32-person main draw, with play set to begin Tuesday, July 3, at 10 a.m. The qualifying event was not without a major surprise as the top-seeded qualifier, Venkat Iyer, a Cornell student originally from India, fell to John Harrison Richmond in the second round. Alex Bogdanovic, currently the seventh ranked player in Great Britain will carry the distinction of being the top seed headed into the main draw. Meanwhile, 18-year-old junior standout Bjorn Fratangelo is looking to take the next step after a loss to Baker in the finals last year. Fratangelo will play as the No. 3 seed. 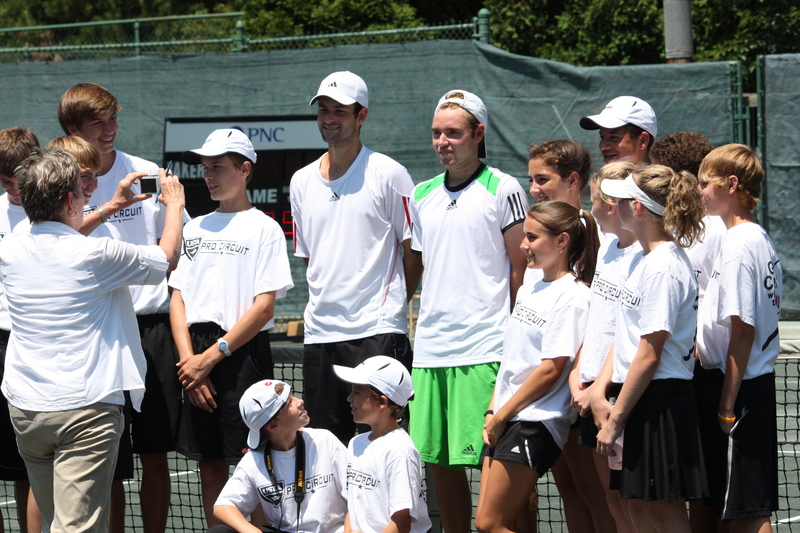 Past participants in this annual event include Donald Young, Jesse Levine, Ryan Sweeting, Ryan Harrison, Alex Kuznetsov and Robby Ginepri. The final match will take place on Sunday July 8, with Middle States holding a USTA member appreciation event during that time. Active USTA members who present their membership card at the USTA table will get a free gift. More information on the tournament, with updated draws and more, can be found on the event’s Web site. For more info on USTA Pro Circuit events, click here.